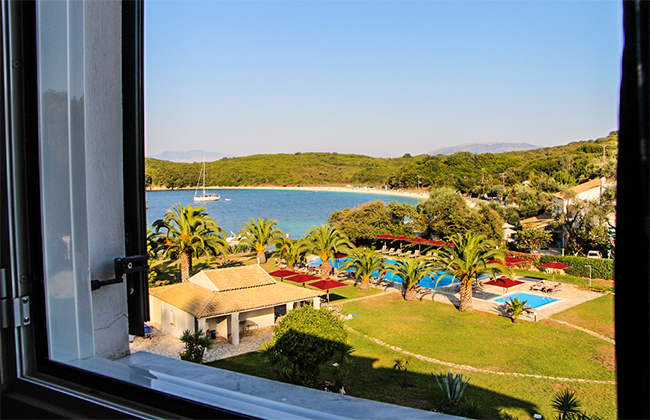 A beautiful view from the room is a major factor in choosing a hotel. In Bella Mare hotel you can admire its breathtaking view of Avlaki beach, to the beautifull green hills next to the hotel and to the amazing hotel’s garden. Also we can show you some lookout points that will enchant you. 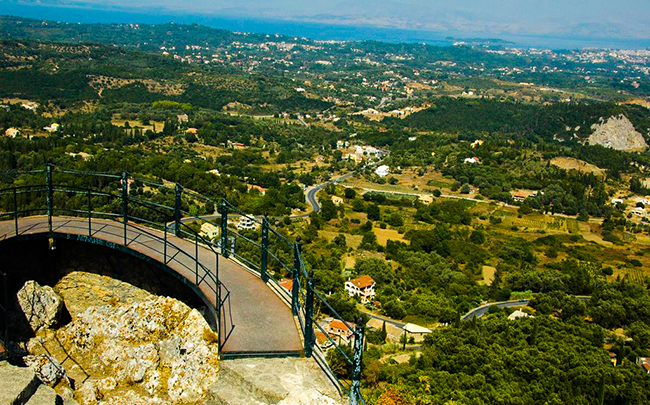 Kaisers Throne is the best lookout point of Corfu Island. This building looks like a big balcony located at the top of the village of Pelekas. Its panoramic view is breathtaking and it stretches from the west coast up to the east end of the island and offer a view of the capital of Kerkira. 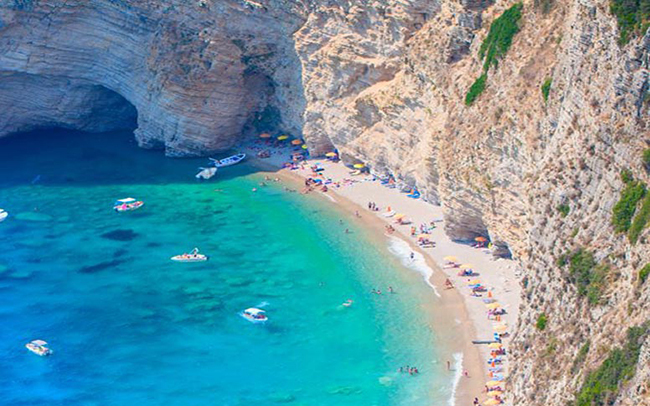 This beautiful beach is located in north–west part of Corfu Island near to Palaiokastritsa .This beach is only accessible from the sea side as the Paradise beach is cut off from the world by three high cliffs. 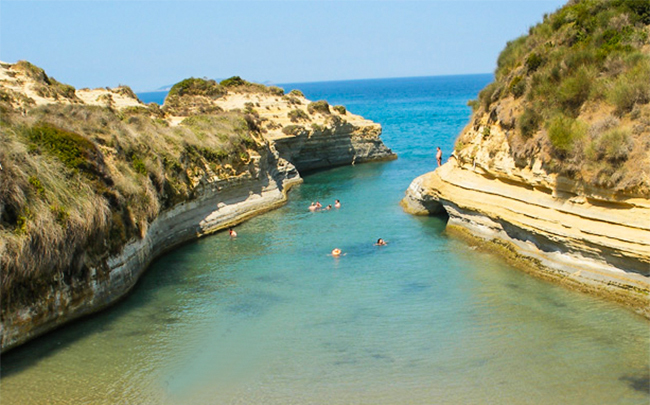 This small patch of land is considered one of the most beautiful beaches in Corfu. There you can admire all the shades of blue of the Ionian Sea. This place look like a postcard. You can feel like you are in the paradise. Angelokastro, or Castle of Angels, was built on the highest hill in the area of Palaiokastritsa. It is one of the most important Byzantine castles throughout Greece. In the area of the castle is a church, as well as a rock chapel and towers and other buildings. The Castle is located at the top of a rocky hill, and is inscribed into the amazing landscape of olive trees and the fabulous view of the Ionian Sea. Love Canal or Canal D'Amour is one of the most beautiful places on the island. 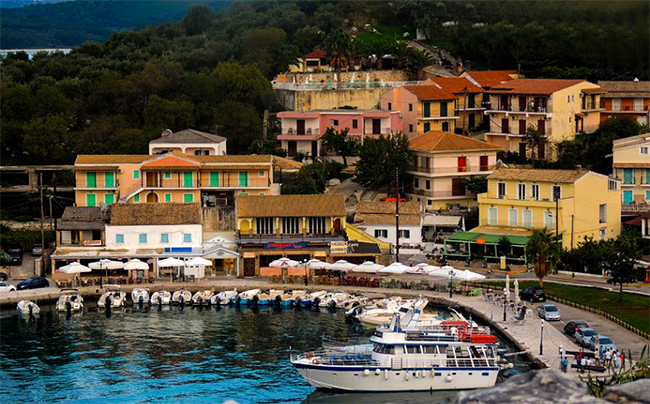 Canal D'Amour is located in the town of Sidari, in the north side of Corfu. This place consists from beautiful rock formations, steep cliffs, blue water and sandy beaches - all in one unique location. According to the legend swimming the channel can help you stay in love forever. 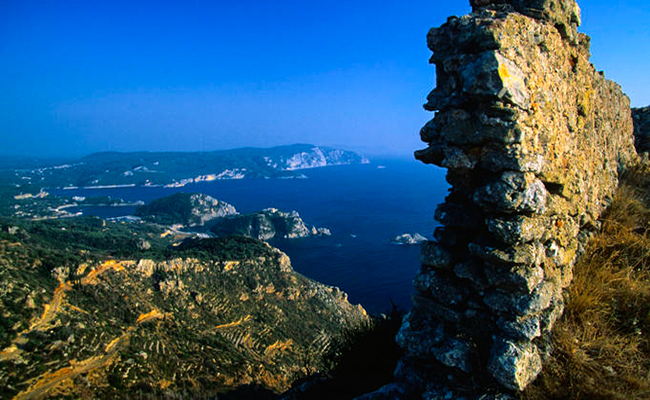 The most distinctive local Kassiopi monument is the Byzantium castle located on a hillside. You can climb to get there from and then you can admire the beautiful panorama of the city center and the surrounding area. The castle leads to a well-marked road from the center of Kassiopi.